There are two major types of plantain in BC, Canada: Lance and Broadleaf. Generally, all 200-plus varieties of plantain yield the same results. It grows especially well in poor, rocky soil (such as driveways) and is often seen alongside dandelion. More often than not, you will see plantain growing in gravel pits and construction sites as nature seeks to regenerate the soil. 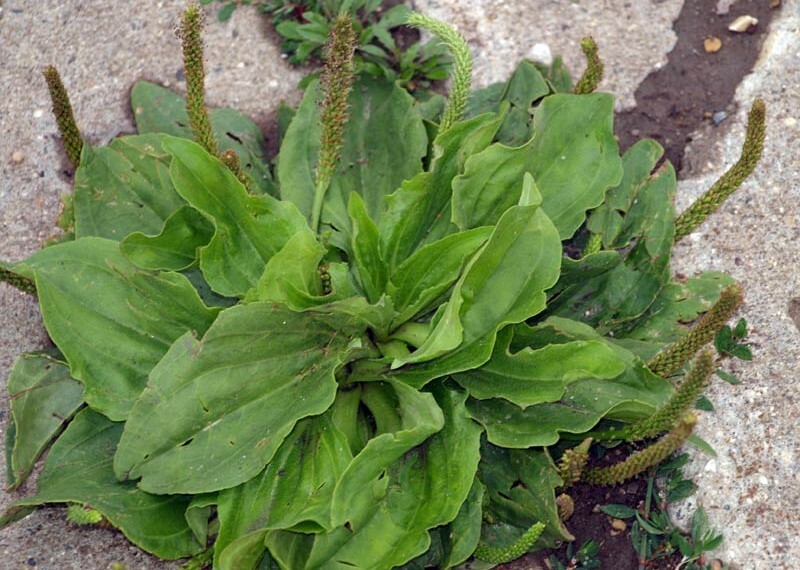 Introduced to North America in the 1600s, it was once called “White Man’s Foot” by the Native Americans who witnessed that where the Europeans tread and disrupted the soil, plantain sprung up. Plantain is renowned for its healing effect on the digestive system. This is especially useful for anyone who has been damaged by antibiotics, anti-inflammatory or pain medications, food allergies, or Celiac disease. Both leaves and seeds specifically target the digestive system for healing. The leaves may be steeped as tea, added to soups, or dried with a sauce similar to kale chips. The seeds – a type of psyllium – can be ground or soaked for bulk mucilage or absorbable fibre, which, consumed before meals, may help with weight loss. Good. I’ve got a huge patch of it. Got lots of this. Who knew. I have zillions of them come spring snd summer. Good to know. I should be the healthiest person on earth. This is all over my yard. I still have some from my garden I picked and dried for tea. Your board game called Wildcraft has a serious medicinal error about comfrey! This stuff is the best. Got stung by about 15 yellow jackets a couple of summers ago. A friend (Lindsay Madison) told me to pick some and chew it up, then rub on the stings. Pain instantly stopped, but what’s even better was I didn’t have any itching days later. I had never even heard of it before that, but now I watch for it in my yard and eat it up. I heard it’s a super green and it’s good food for the brain. Did you read it Bob? Harvest it when it young. Gets very stringy when older. Justin Craig something like this might help some eve issues ? Zakiyya Ismail please can you tell me the name of this plant – there was a f*#king pop up blocking the article promising me I could come back to the article – I tried several times hopping it would make the PU go away or give me an close option. NO Freaking luck. I dislike PU’ s very much. Thank you Loria Chaddon my apologies – clearly I’m still working on patience????. I’d still love to read the article. And I hated them. Those roots. What’s the name of this weed ? Wow! 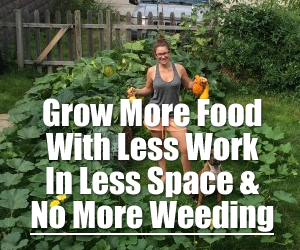 I need to start eating my weeds.. These love my lawn and I’m constantly pulling them! ???? i will be eating off the lawn this summer! knew about this plant all my life. Good for infections, ground it up and put on infection, bandage, It will help lots. I thought Plantain was a relative of the banana ?? I didn’t look at their site which wants to sell something. Back home we knew it as Plantain (sp?). The story goes; when Dad was 5 years old, he wandered out to the bee hive and stuck a stick inside. Grandma said when she looked out all she saw was a mound of bees all over him and a stick waving in the air. Grandma got him in the house and ordered everyone to pick every plantain they could find. She made a poultice and put it all over. She said it saved his life. Today, I have used ammonia on a bee sting and it works nicely. I love this plant! Takes the itch out if bites and also tastes really good. It grows all over the parks by my casa in Anaheim. I have the tea almost every night. I find it just sweet enough. Such a lovely fresh soothing taste. We in Hawai?i call it “Laukahi”. When I was very young my grandma treated my asthma with this. Does it grow in SE Texas? Grows everywhere here in lreland too.. l dont know if we have the same name for it. Barry, the name we have for it is in Hawaiian. Perhaps you could give your university there a call (agriculture dept) and they might be able to tell you about it. Please share what you find. It’s great for diabetes as well. I use it all the time, especially at my cottage for it’s antiseptic and astringent qualities. Also in stir fries and salads. I always add plantain to a herbal infusion for coughs and colds. Useful information Randy WayneI Mcgregor!!! ?? Yes plantains! I think. I didn’t read it . Looks like plantain weeds though. Super good for many things. And they are very at home on green roofs too! We call this KopaKopa in NewZealand – great for sores, cuts, burns, surface wounds etc. and full of vit. C.
My pigs loved this plant. The Nazis put the children to work to pick Plantain for Wound Dressing during WW2.